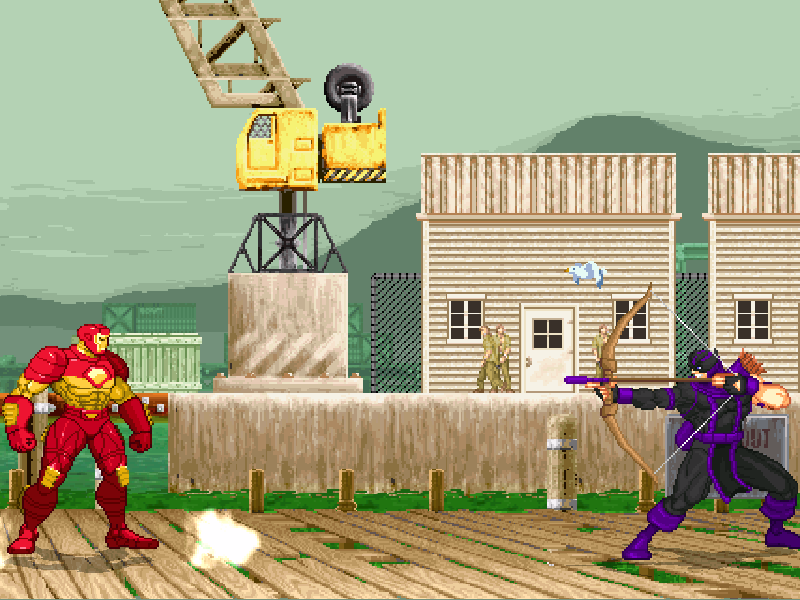 I rip the first level of the game "The Invincible Iron Man" from GBA. 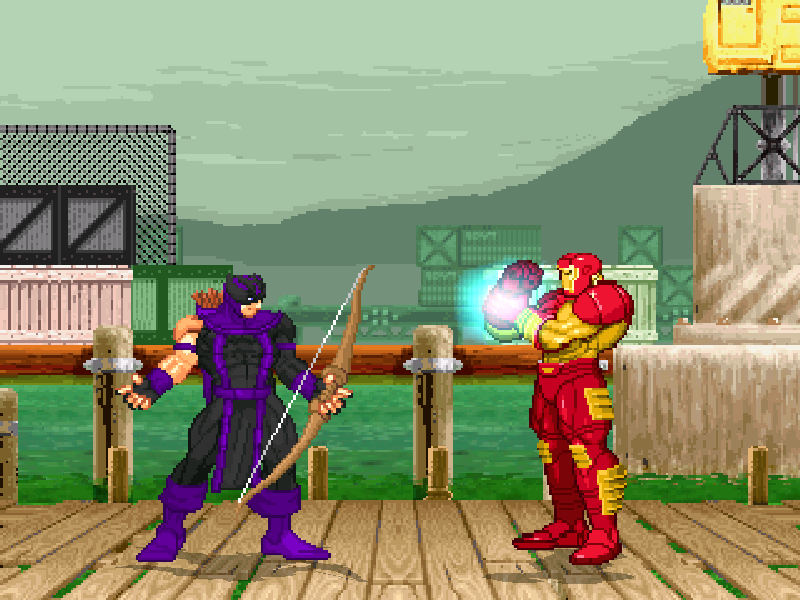 Then edit those sprites and add others to transform them into a MUGEN stage. It comes with superjump, animation, looped BGM, 1.1 (zoom & no zoom) and 1.0 option files. 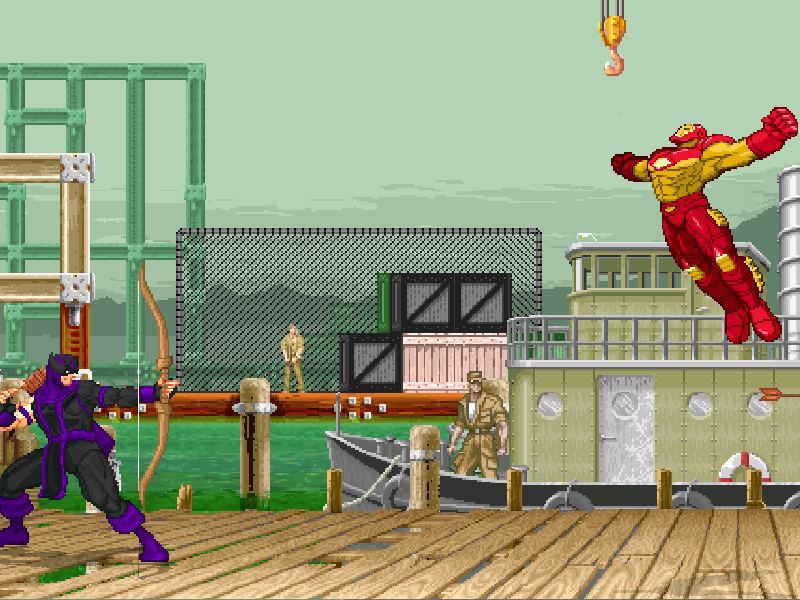 It's always nice to see Marvel stages that are very compatible to the Proyect X Characters, thanks my dear friend. It's always nice to see Marvel stages that very compatible to the Proyect X Characters, thanks my dear friend. I appreciate the constant support, my friend.